An engraved letter opener is ideal for personalized gifts for a range of events and occasions, and makes a highly practical corporate gift or branded merchandise item. 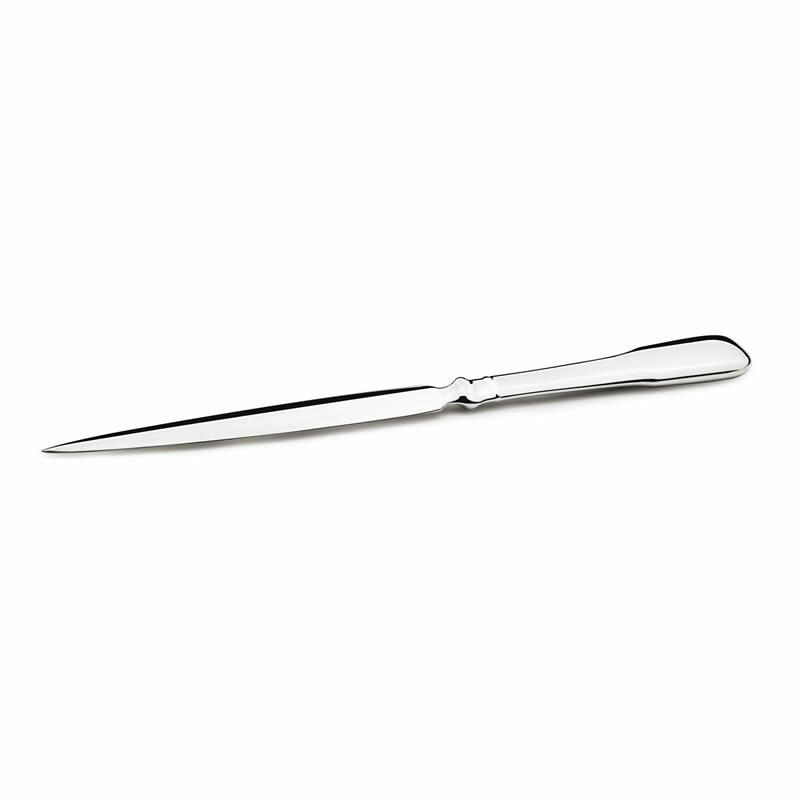 This stylish letter opener / paper knife features a simple and elegant design and has a very heavily silver plated finish. It can be engraved with initials, a name, message or company logo to create unique personalized gifts. These gift letter openers are included in our offer of free engraving, so take advantage of our free engraving and low, fixed price UK delivery to easily create branded letter openers or personalised paper knives for your company or business. Supplied complete with an elegant gift box.